These wedge sandals are absolutely stunning and right on-trend this summer! 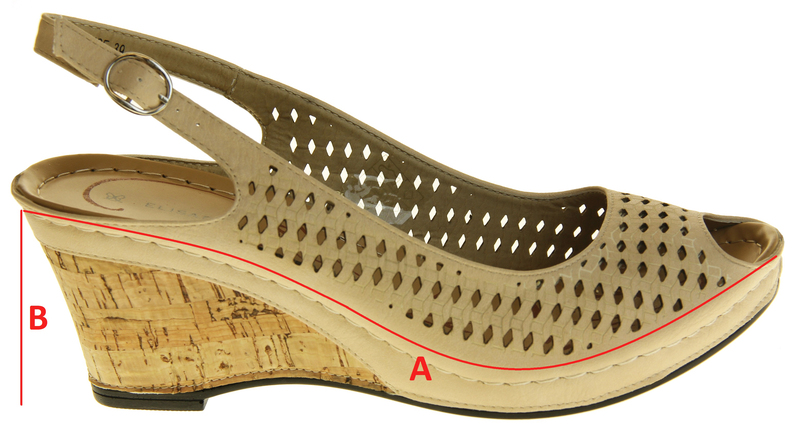 With a cork heel, they are perfect for walking about on holiday or going out at night. The padded insole will make walking for hours effortless and so comfortable that you'll never want to take them off. With a touch fastening buckle ankle strap, you can be stylish without compromising safety! With 2 colours to choose from, Beige and Blue, why not buy a pair of each to match your outfits!